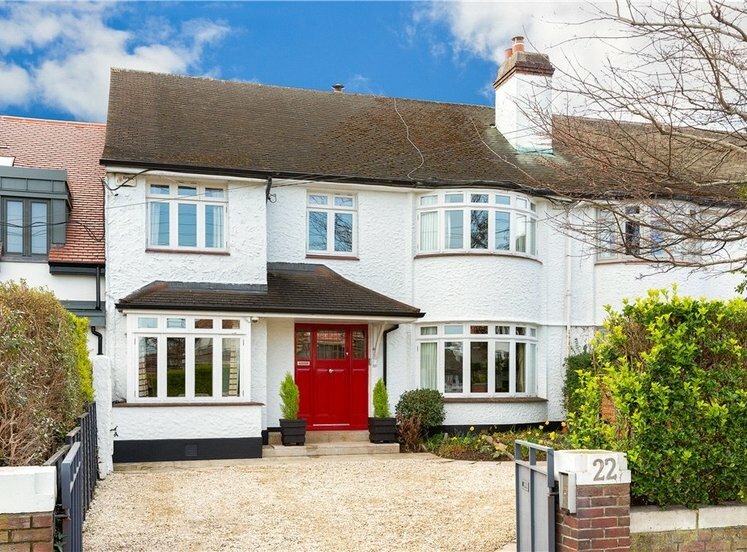 3 Deerpark Avenue is a wonderful double fronted detached family home set on mature gardens in the heart of the Castleknock Village in one of Castleknock’s most sought after residential developments. 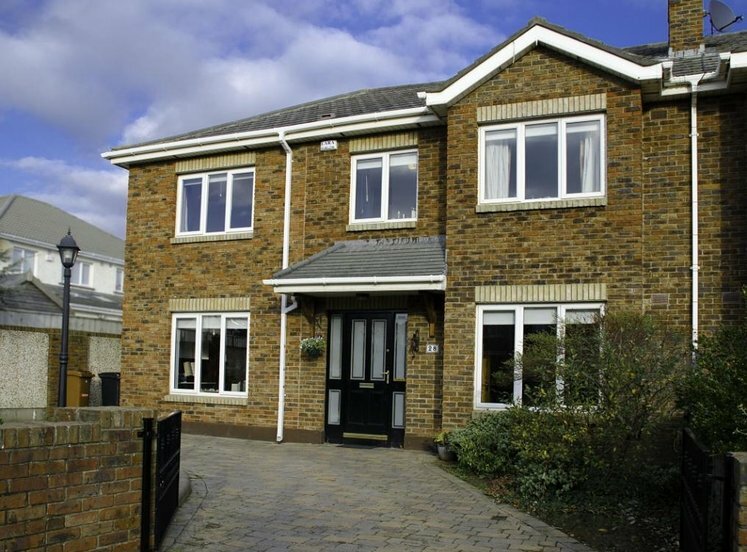 The well-appointed accommodation has been designed and extended with family living in mind and it presents in excellent condition throughout. 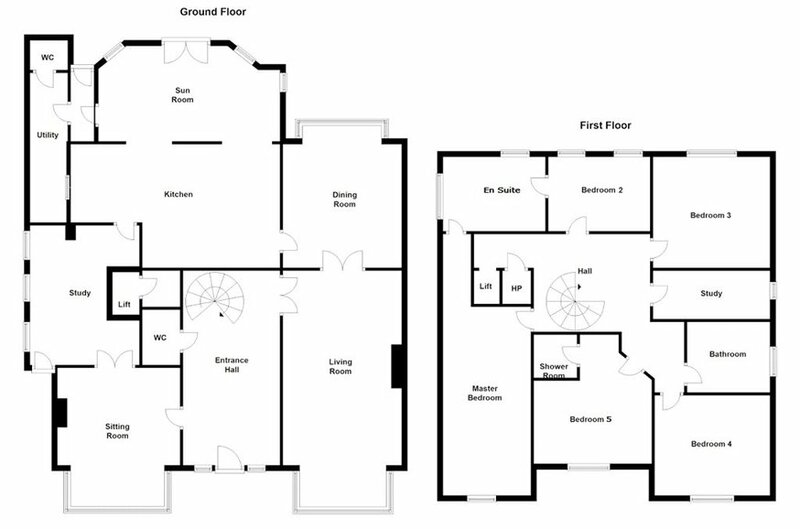 On entering the property one comes into a large reception hallway with a feature winding staircase and guest wc. To the right hand side there are two large inter-connecting reception rooms. The living room is located to the front and features a large bay window, while a beautiful marble fireplace creates a real focal point double doors lead through to the dining room. 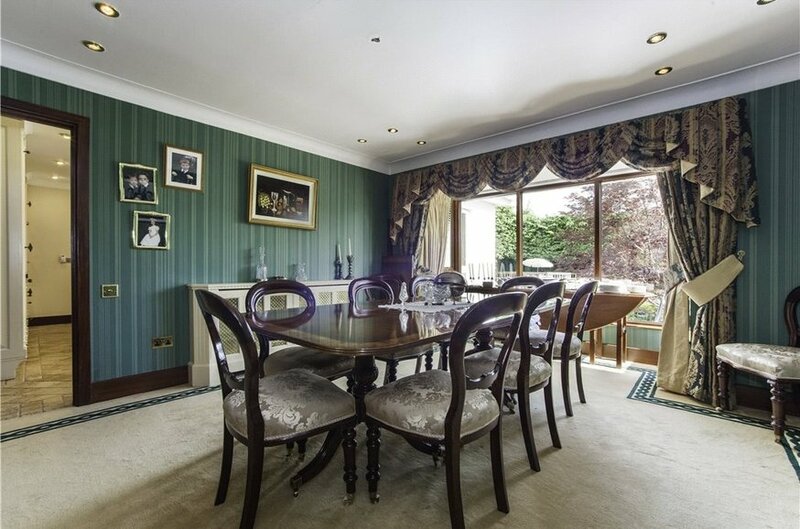 The dining room provides an ideal space for entertaining a bay window frames the view over the rear garden. 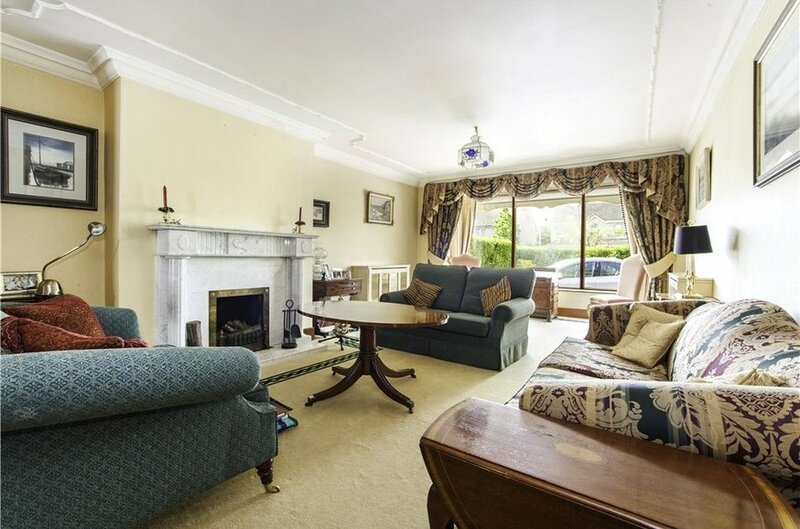 The third reception room is also located off the main hallway and features a fireplace and solid wood flooring, there is a feature bay window and double doors open through to the study. 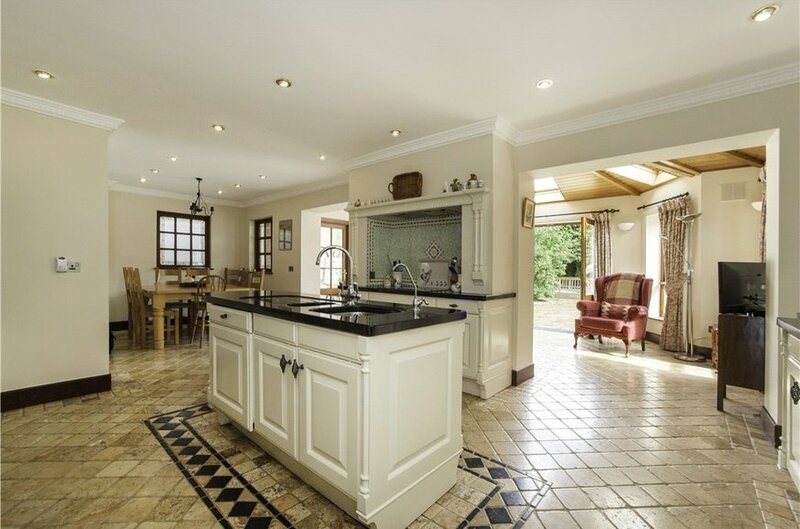 The beautiful light filled kitchen truly is the heart of this home, located to the rear of the property it features a classic style kitchen with feature island and granite worktops there is ample dining space and an opening through to the sun room. The sun room provides an ideal space to unwind, a large stove with redbrick backdrop creates a real focal point. Large windows and sky lights flood this space with natural light. French doors lead to the rear garden. Off the Kitchen a rear hallway leads to the utility room guest wc and rear garden. On the first floor a large sky light provides natural light to the landing there are five large bedrooms all featuring built in wardrobes, two of the bedrooms are complete with en-suite. 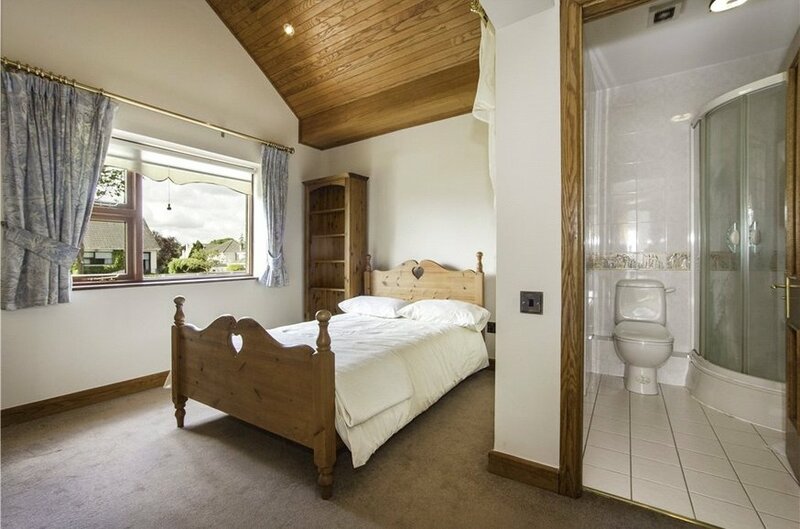 There is a second study/home office and a large family bathroom completes the accommodation. Outside the large front garden has been laid in cobble lock and provides off street parking, side pedestrian access on both sides leads to the rear garden. There is a section of lawn and mature hedging ensures privacy. 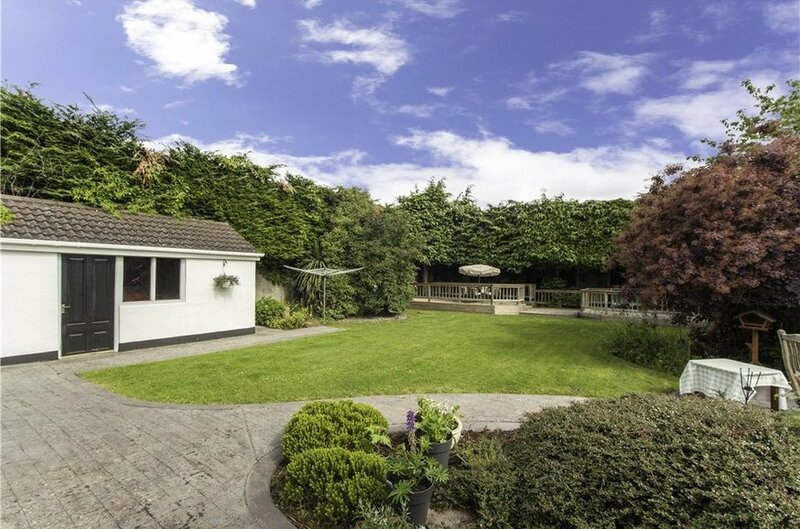 The large secluded rear garden measures approx. 85ft in length it is mainly laid in lawn and bordered with mature hedging. There is a cobble lock patio and large raised deck, providing a variety of spaces to enjoy dining alfresco. A large block build shed caters for additional storage. 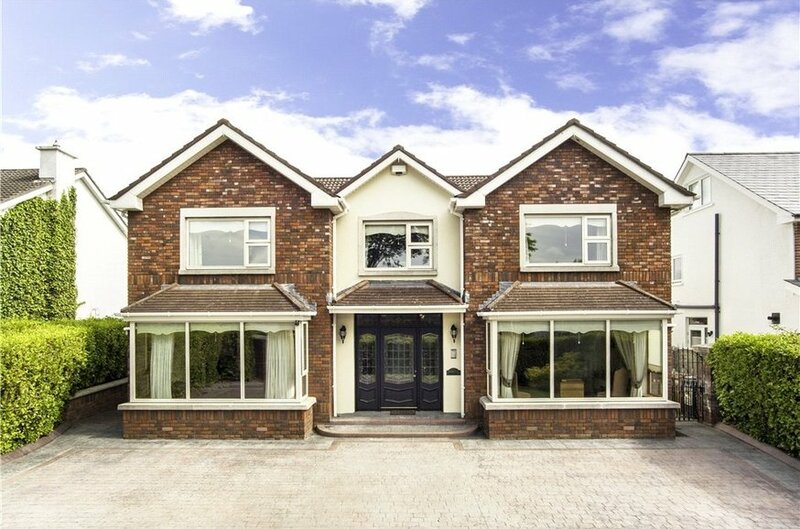 Deerpark is ideally positioned within walking distance of Castleknock Village and the expansive Phoenix Park and five minutes’ walk.. 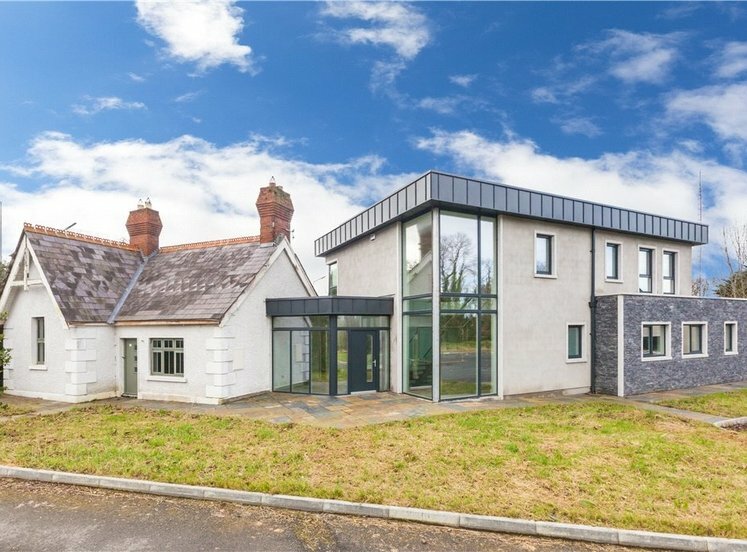 There are a number of excellent schools in the locality including Mount Sackville, Castleknock College and the King’s Hospital. Dublin city centre is only 6.4 km / 4 miles away and Dublin International Airport is less than 20 minutes’ drive via the M50 motorway. 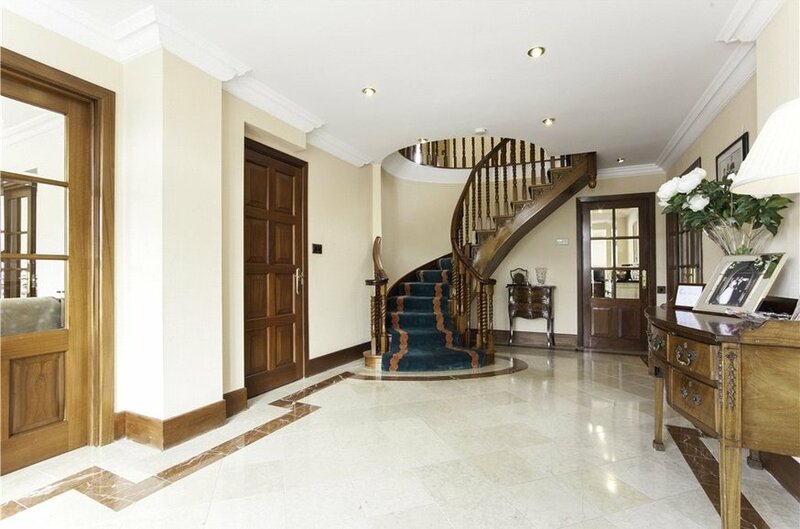 Large reception hall with marble tiling, ornate staircase to first floor level, recessed lighting and guest wc. The guest wc is fitted with wc and whb, this space is fully tiled. Elegant living room with feature marble fireplace, decorative coving and box window with south facing aspect overlooking the front garden. Double doors lead to the dining room. The dining room provides an ideal space to entertain, it features recessed lighting and box window overlooking the rear garden. 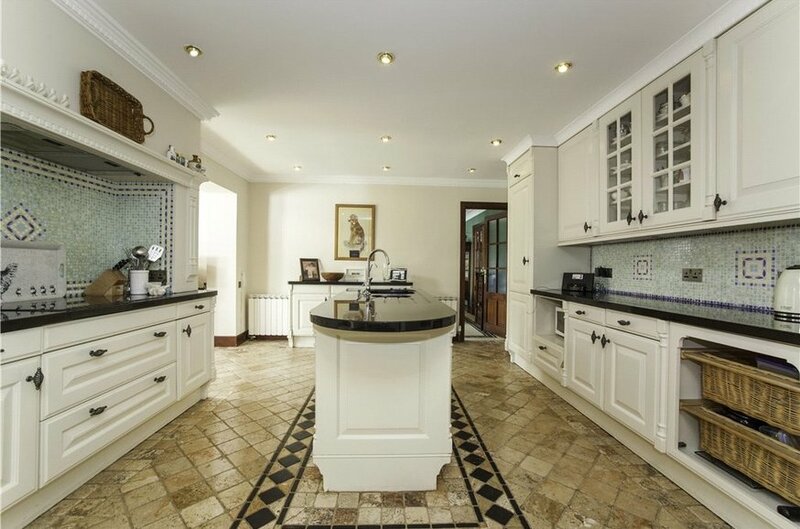 This wonderful open plan space truly is the heart of this home, it is fitted with a rustic style fitted kitchen with ceramic tiled floor, extensive wall and floor mounted units, mosaic tiled splashback, island with double sink. There is ample dining space and opening to the sun room. The dining space is open to the kitchen and sunroom. Ceramic tiled floor. The sun room provides an ideal space to unwind, a large stove with redbrick backdrop creates a real focal point. Large windows and sky lights flood this space with natural light. French doors lead to the rear garden. Ceramic tiled floor. The rear hallway leads to the guest wc and utility room. A door leads to the rear garden. The utility room provides additional storage there is a sink, storage units and it is plumbed for washing machine and dryer. The second guest wc is fitted with wc and whb. This space is fully tiled. Lift access to 1st floor. The cloakroom provides an additional storage area. 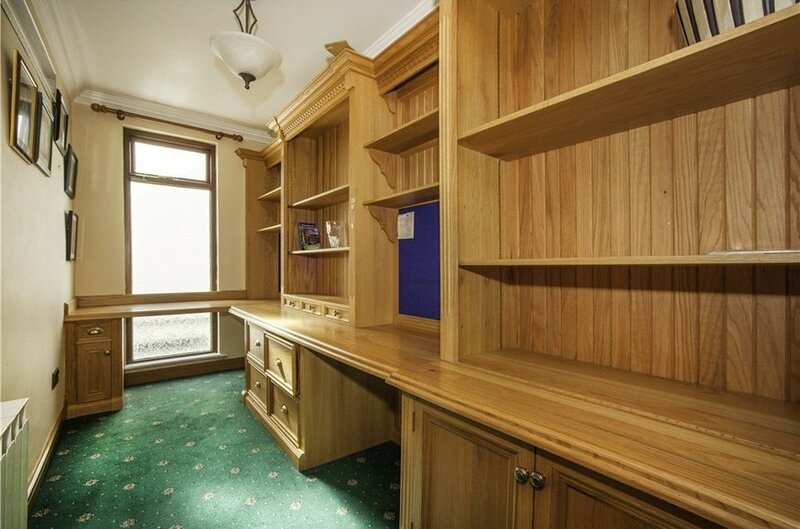 This space is ideal for a variety of uses, such as a home office/study or playroom. It has the benefit of separate front entrance and double doors open to the third reception room. It features, timber floor, recessed lighting and Velux windows. Located off the main hallway the and from the study, this room features timber floor, feature fireplace with marble inset and sandstone surround, decorative coving and box window overlooking the front garden. 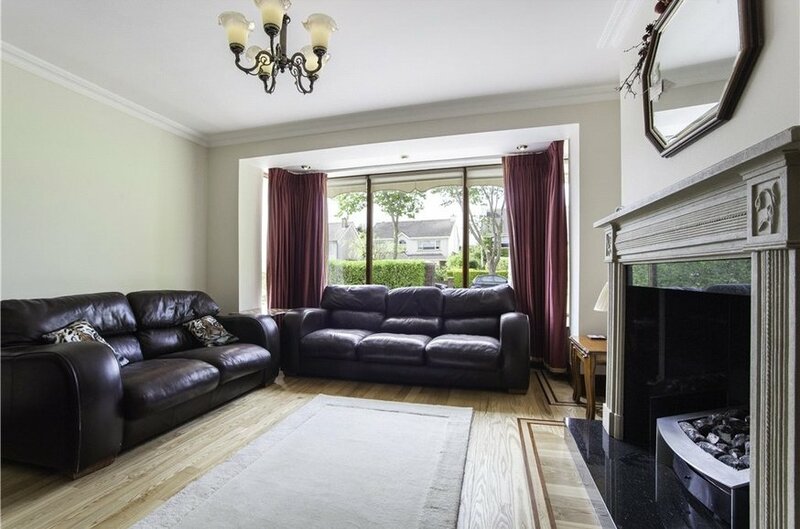 Double bedroom overlooking the front garden with extensive built in wardrobes. The large en-suite is fully tiled and is fitted with a Jacuzzi corner bath, separate shower unit, wc, bidet, whb and heated towel rail. 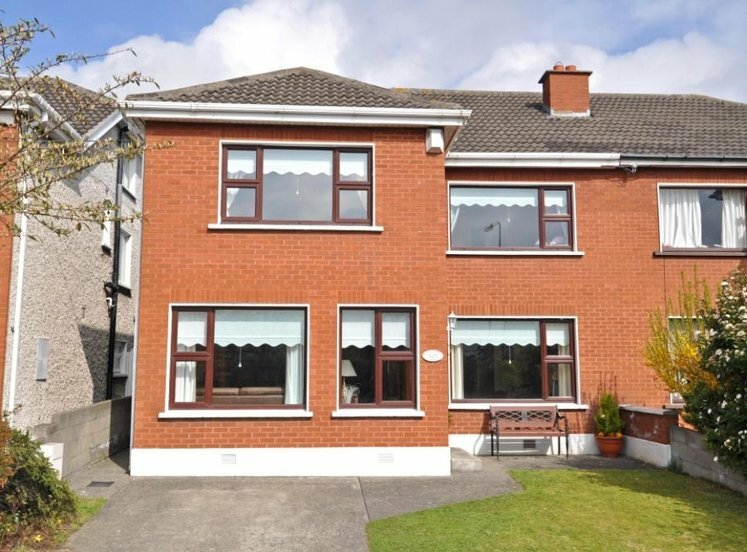 Interconnecting double bedroom overlooking the rear garden. 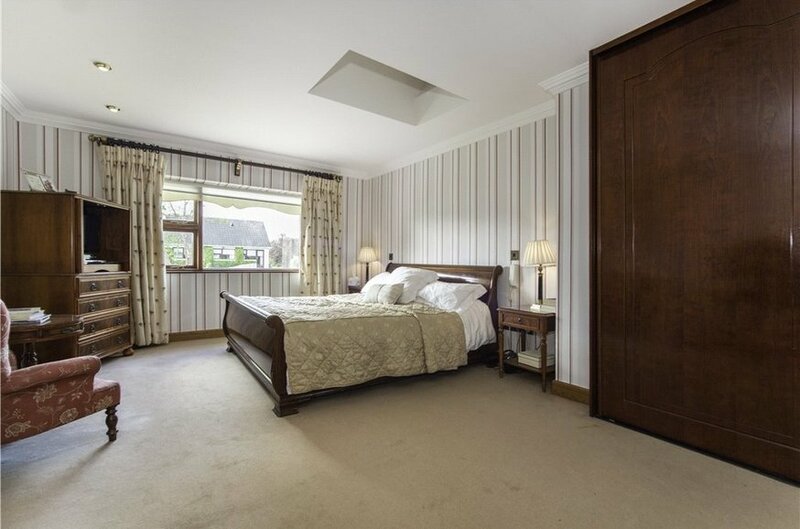 Double bedroom with built in wardrobes overlooking the rear garden. Light filled room ideal for home office or additional storage. 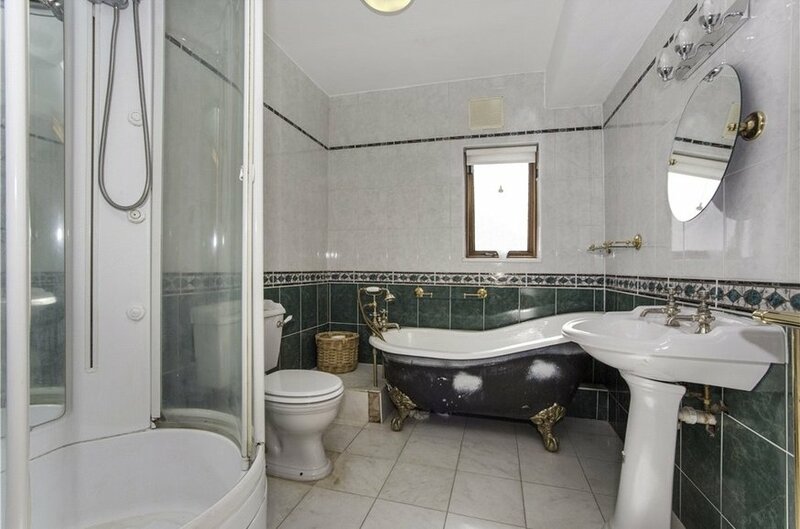 fully tiled bathroom with standalone bath, wc, whb and stand in shower. 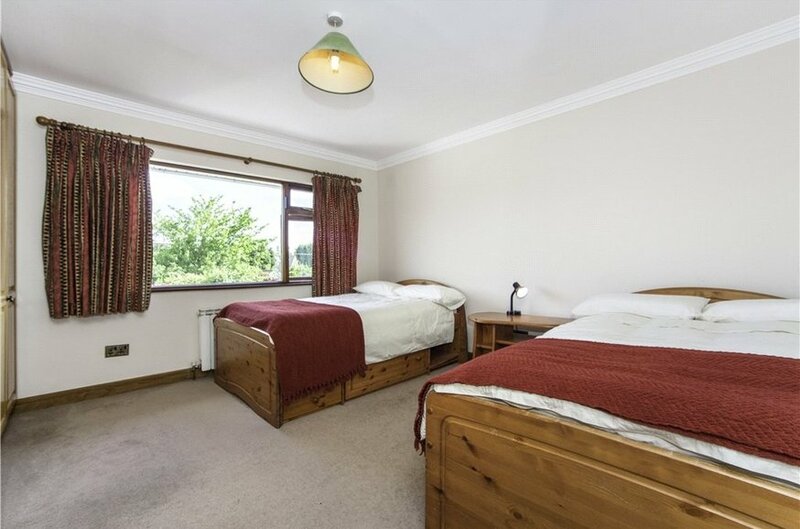 Double bedroom with build in wardrobes overlooking the front garden. 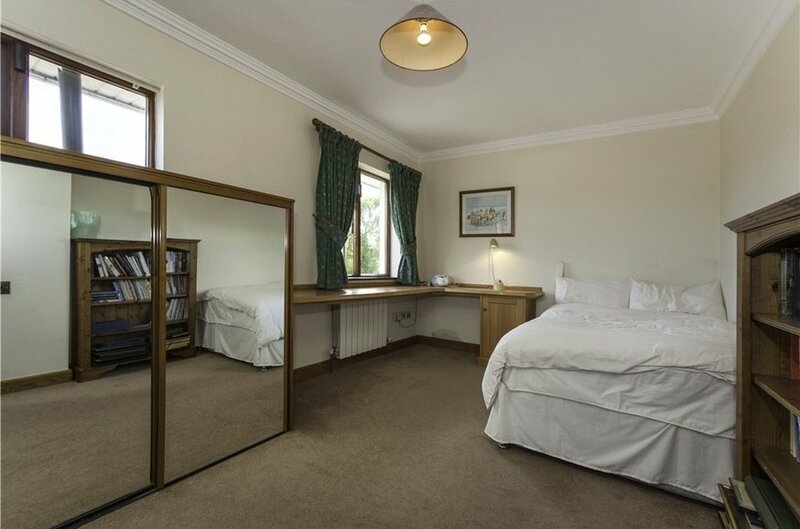 Double bedroom with vaulted ceiling, build in slide robes and en-suite overlooking the front garden. 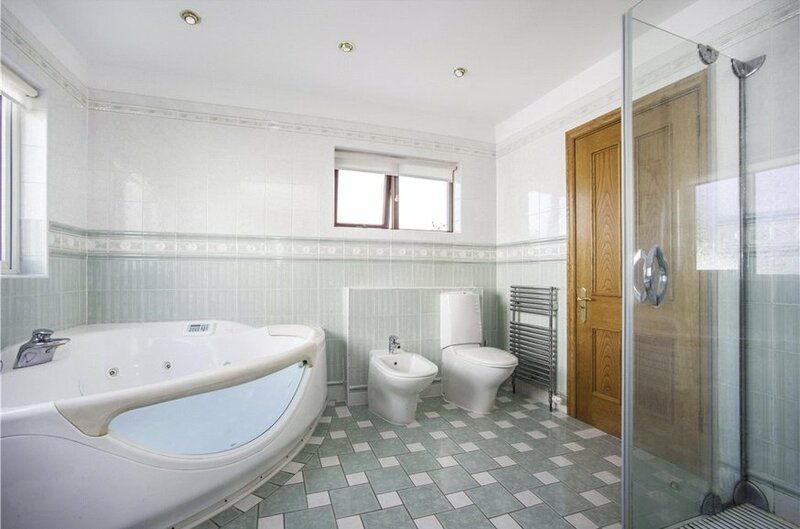 The en-suite is fully tiled and fitted with wc, whb and shower.